For a better experience on Port Authority of the Cayman Islands, update your browser. For the security reason, you are logged out from the Member Portal. If you would like to continue using the Member Portal, you need to login again. 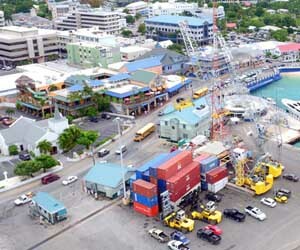 All areas of the Port Authority will close at 12:00 noon on Wednesday, 15th December 2010 for a staff meeting. Normal Working hours will resume at 6:00 pm for the night staff. 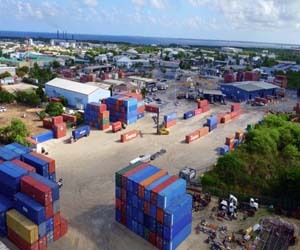 The latest version of Port Regulation (Amendment), 2010 is now available. You can read it online in PDF Format. .. The Port Authority has implemented a policy for the unloading of Flat racks from Vessels. For details, read the attached document. .. Please be advised that effective immediately the Port will no longer be accepting American Express credit card, as their fees are too expensive. Amex does not have a representative office on the island that ca..
We have added a new section to our website, where we highlight our various departments and their staff members. Meet our customer service dept and get to know the services they render. You can also view the up.. The Government of the Cayman Islands along with the Port Authority is currently exploring establishing the first ever cruise berthing facilities for the Cayman Islands. Discussions are taking place for the co.. Copyright © 2019 caymanport.com All Rights Reserved. No vacancies are available right now.